Everybody needs shoes, right? Whether they are pumps, flats, courts, or thongs, shoes are an important item of clothing. 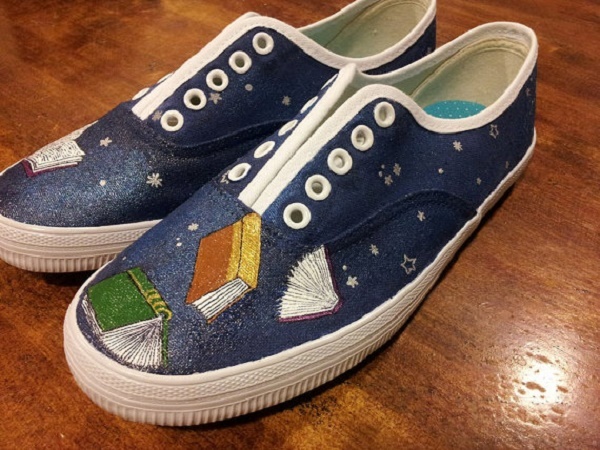 If we’ve got to wear them, we might as well make them awesome too, and what’s more awesome than book-themed shoes? 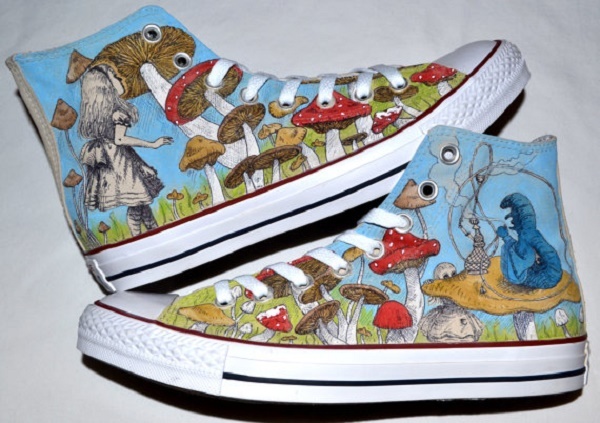 Here are 20 of the best literary shoes from around the net. 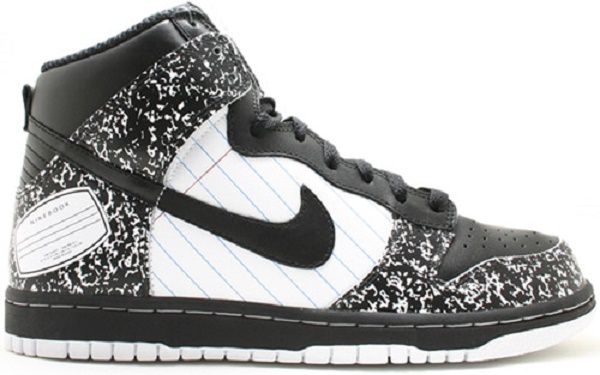 These notebook style sneakers by Nike are perfect for the writer and book-lover alike. 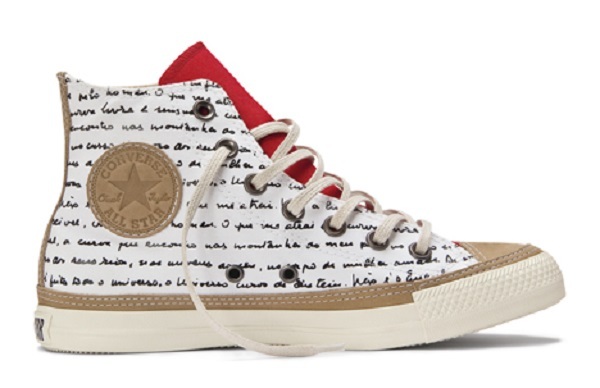 These cute sneakers really capture the magic of reading. 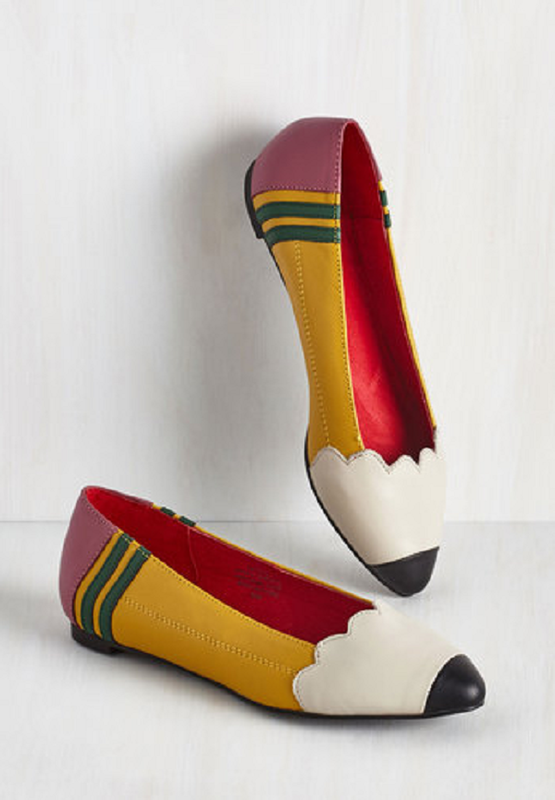 Would could resist these perfect little pencil flats? 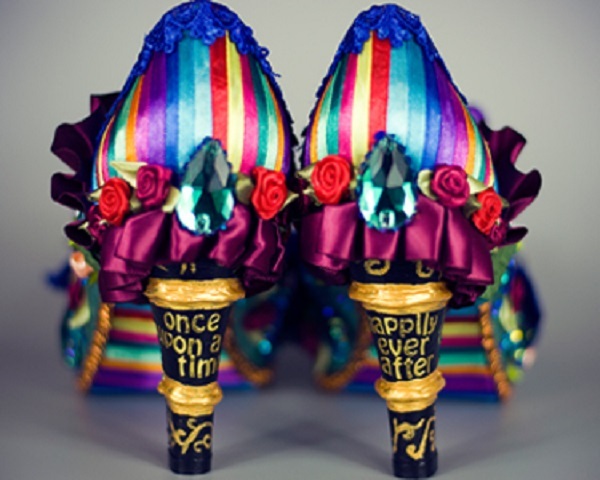 These high (high high) heels are great for fans of fairy tales. 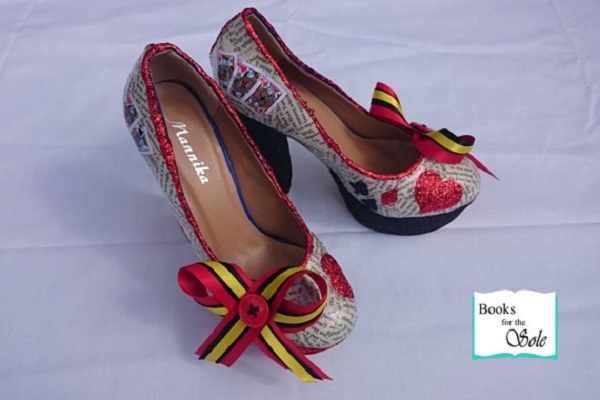 This magnificent pair were custom-made by Frankie Lynn Emporium, who design one-of-a-kind beauties like these story-book shoes. 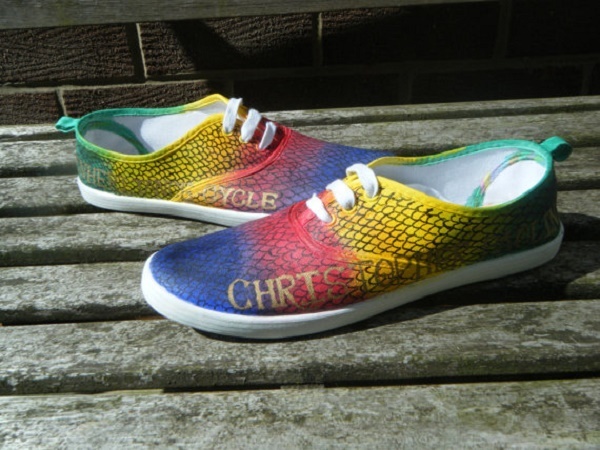 Embrace your inner dragon with these colorful Inheritance Cycle sneakers. 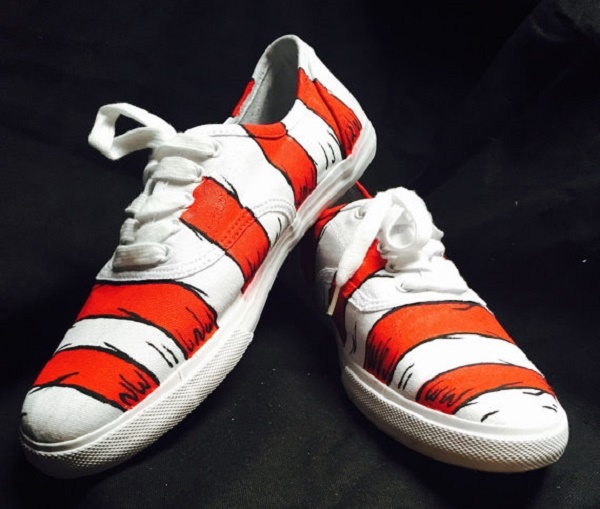 This is what you get when you take the distinctive style of Dr. Seuss and immortalise it in sneaker-form. 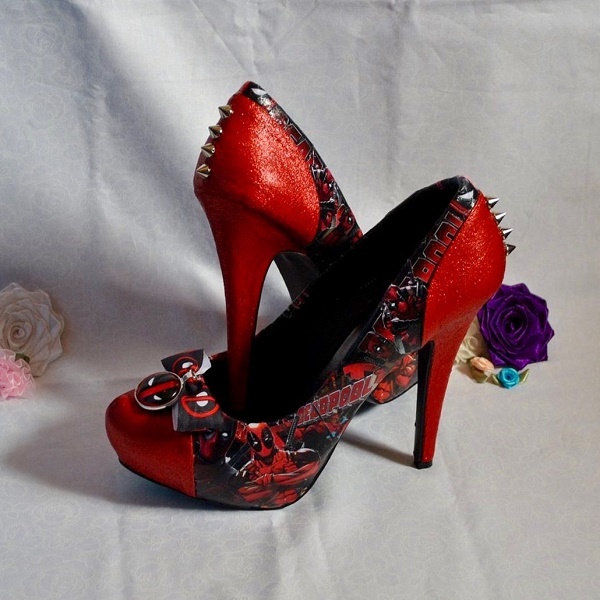 Show no mercy in these fierce Deadpool heels. 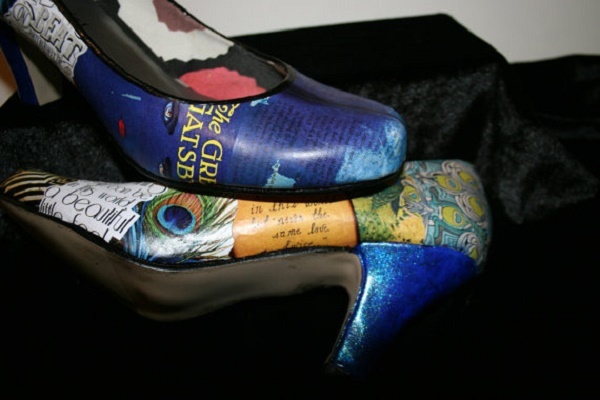 Don’t burn books – honor them in shoe form instead! Help Alice explore Wonderland with these gorgeous boots. 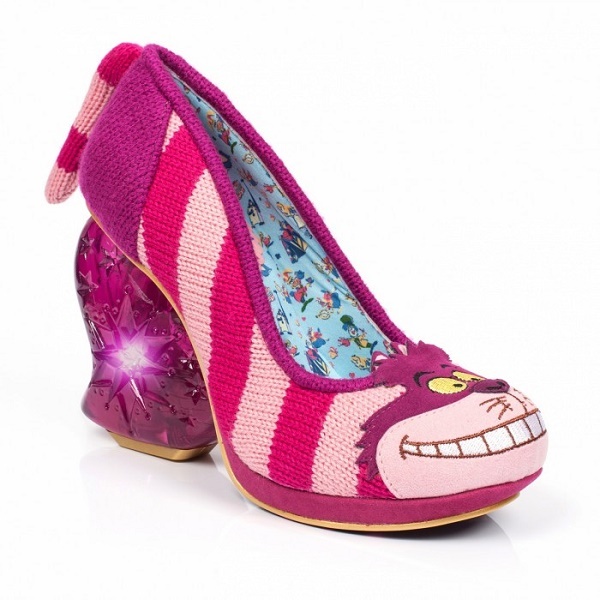 These Chesire Cat shoes are sure to give you a Chesire grin! Perhaps The Queen of Hearts is more your style. 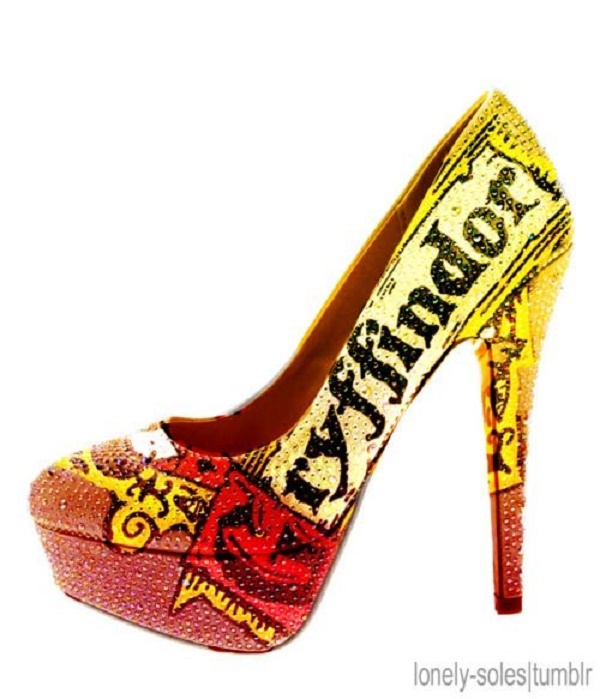 Show off your Hogwarts house colors with these sparkly numbers. 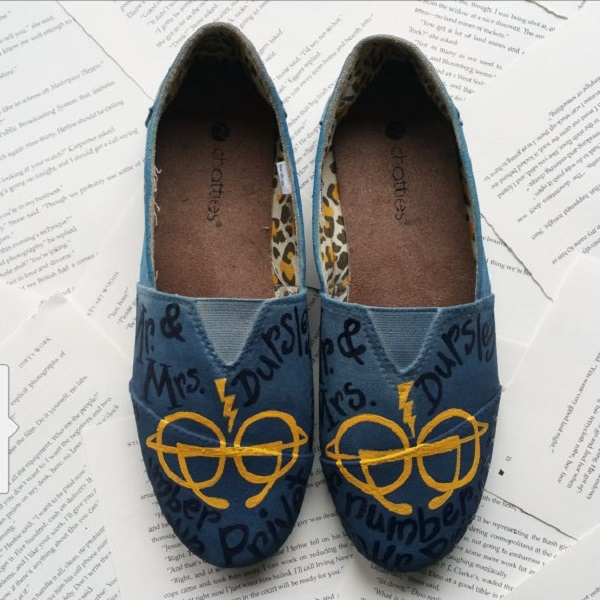 Wear these Potter-themed Toms with pride. 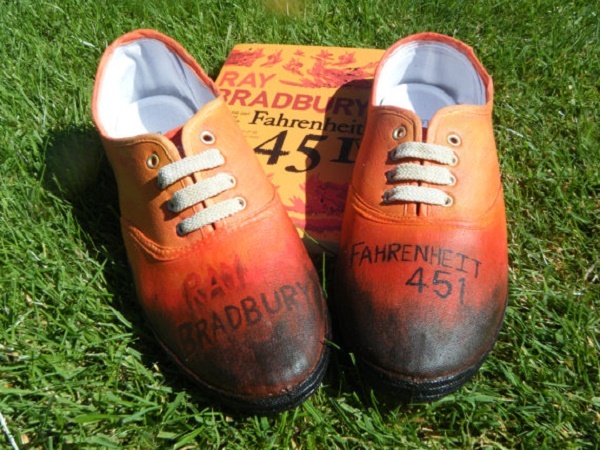 Shoes that Holden Caulfield would be proud of! Celebrate all things Fitzgerald with these classy shoes. 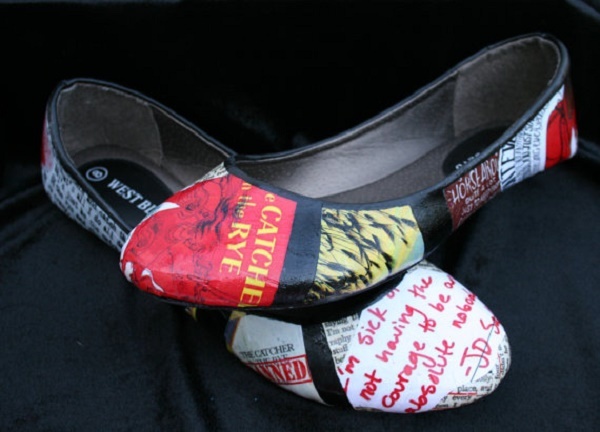 You could try a little detective work in these sweet Sherlock Holmes ballet pumps. 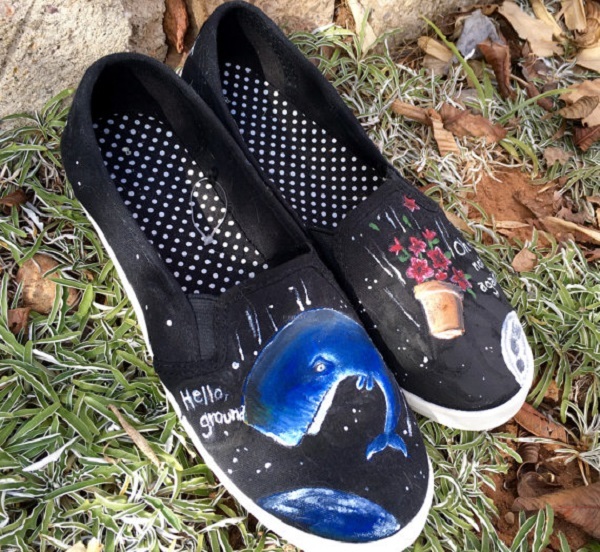 These Douglas Adams shoes really are out of this world. 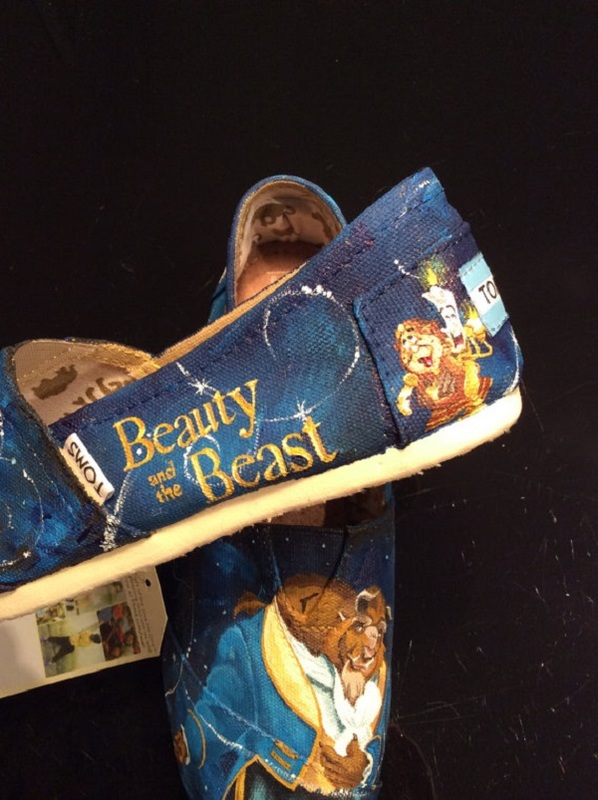 For those with romance in their hearts, these pretty Beauty and the Beast shoes are perfect. Of course, if none of these take your fancy, you could always try painting your own. Next articleVIDEO: Do You Annotate Your Books?